This is where the magic happens! The Jelly Belly Candy Company is the home of Jelly Belly® jelly beans and more than 50 other fine confections. The tour is always free - and the samples are too! The Jelly Belly Visitor Center in Fairfield is open daily from 9 a.m. to 5 p.m., and self-guided factory tours operate daily from 9 a.m to 4 p.m., except for New Year's Day, Easter Sunday, Thanksgiving Day, and Christmas Day. 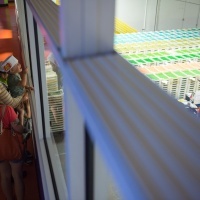 Jelly Belly factory tours are especially popular and referred to by many as a "unique and sweet experience". Reservations are not required. Step into the factory and smell the aroma of chocolate, peach, cinnamon, pineapple, or whatever is being cooked up that day. 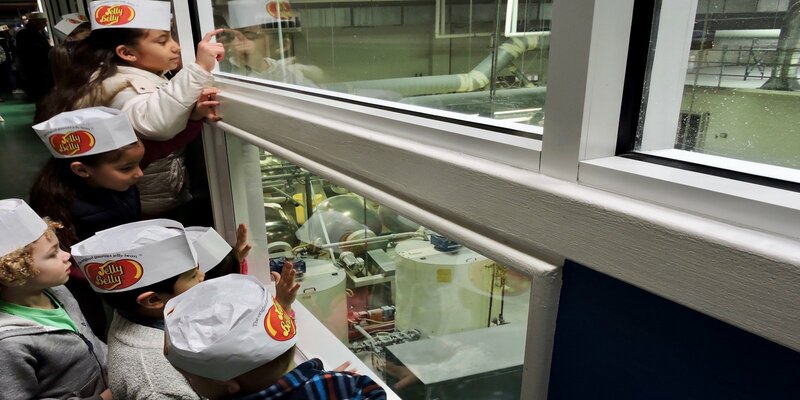 Explore a real working factory where employees cook up over 100 different kinds of Jelly Belly beans, along with other sweet treats. Learn the secrets to how Jelly Belly creates the legendary Jelly Belly jelly bean, and discover why it can take up to two weeks to make a single bean. The fun doesn't stop with the free tour! The Jelly Belly Café serves hamburgers and pizza in the shape of a jelly bean! Or, you can take the 'BeanBoozled' Challenge with your family and friends at the sample bar. Upstairs, you'll find the Jelly Belly Chocolate & Wine Experience, featuring wines from Suisun Valley and chocolates made in house. Come discover why USA Today readers voted the Jelly Belly Factory one of the Top 10 Tours in the United States! The sun did not shine. It was too wet to play. But that does not mean you have to sit in your house on a cold, cold, wet day! For there is fun to be found in Fairfield, yes there is, in dry and warm places away from the downpours out there. Hundreds of princesses, superheroes, pirates, witches, and ghosts will invade Fairfield's Jelly Belly Factory Oct. 27 for the Munchkin Masquerade! Fairfield's Jelly Belly Factory will celebrate all that is sweet in life at its sixth annual Candy Palooza!